There were three little ducks in the lake. They went over the hill and far away. But when the mother duck quacks, only one little duck came back. She tried to rescue the other two but she also got in trouble. The good news is, you are in the area when that happened. You can help the mother duck and her duckling. However, this is not an easy thing to do. 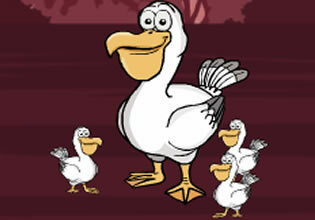 It is not simple to rescue the duck family when there are so many puzzles you have to solve. On the good note, there are clues that can help you to solve those puzzles. Another thing is that, there are items along the way that you can collect. Those things can help you with your rescue operation. But even if that is the case, you still have to use your logic. You still have to think of a way to rescue the animals. It would be better if they will swim on the lake together. With that, you have to move fast and Rescue The Duck And Ducklings as soon as possible. Rescue The Duck And Ducklings is the newest room escape game by Games 2 Jolly. Best of luck!